As you begin and continue to develop your skills as an educator, modelling and sharing your digital self, some important MINDFRAMES need to be remembered. 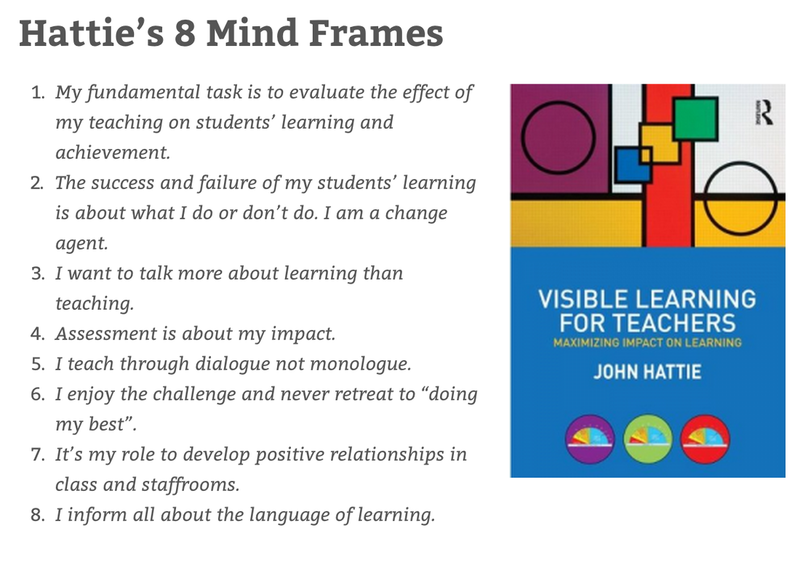 John Hattie, an education researcher, shared eight ways of thinking that are important for today's teachers and leaders. How will you shape your educational practice with these key MINDFRAMES? Will you believe that you can improve? Will you have a GROWTH MINDSET?